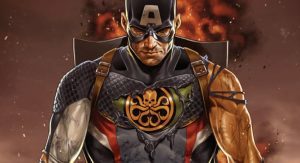 Marvel Now 2017 May 2017 Solicitations Spoilers for Secret Empire follow. 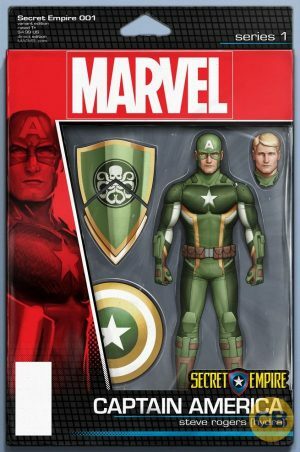 CB has the variant cover for Secret Empire #1 showing a green costume for Captain America Steve Rogers. 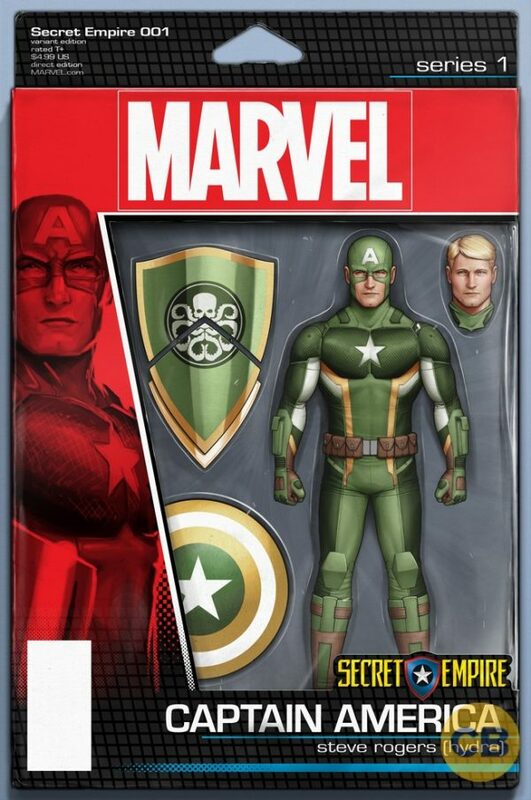 Effectively a green version of his current Captain America costume. 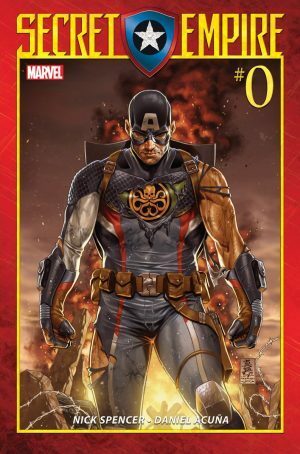 However, the regular cover for Secret Empire #0 shows a different Hydra costume underneath his blue, red and white costume. The varaint cover for Secret Empire #1 is called “secret-empire-wip-232374” including WIP or work in progress at the end. 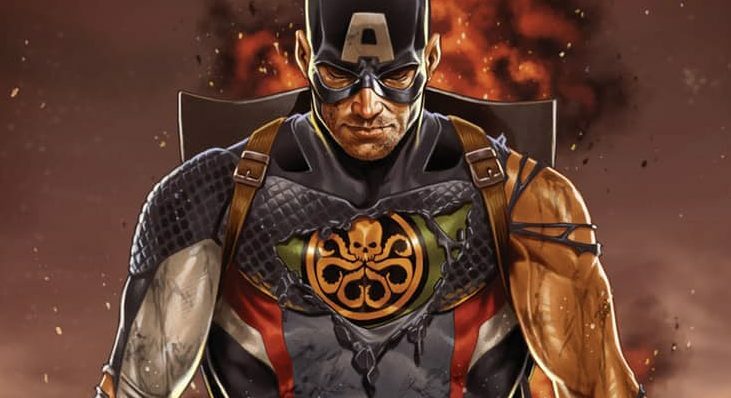 Don’t expect this “action figure” variant to be the final cover as, to be honest, having the Hydra symbol replace the star on the chest is pretty cool.